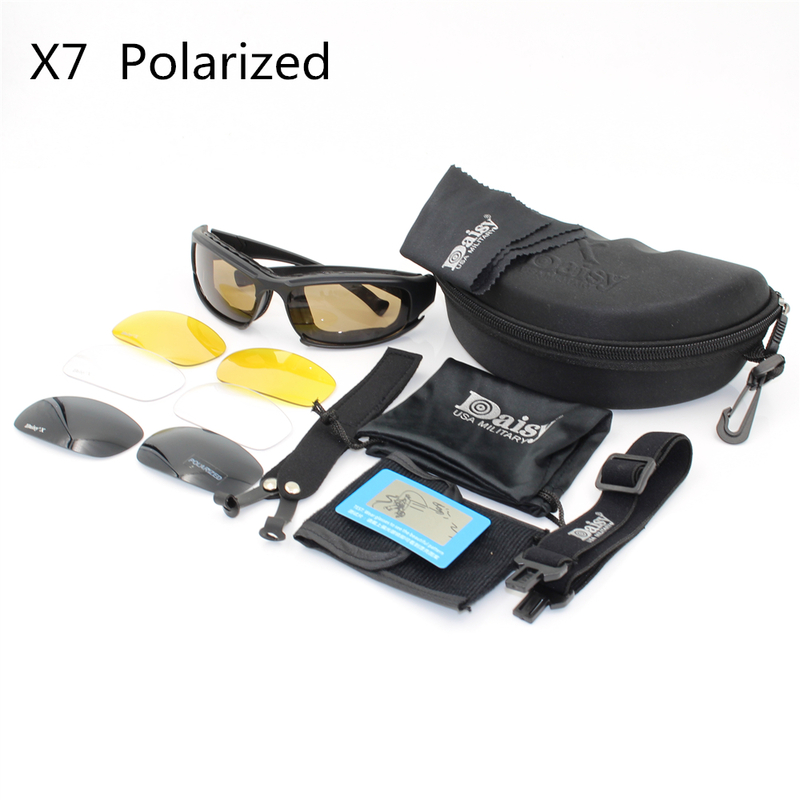 Constructed of polycarbonate material, the X7 Tactical Sunglasses are extremely durable keeping your eyes protected and your vision hawk-eye sharp! 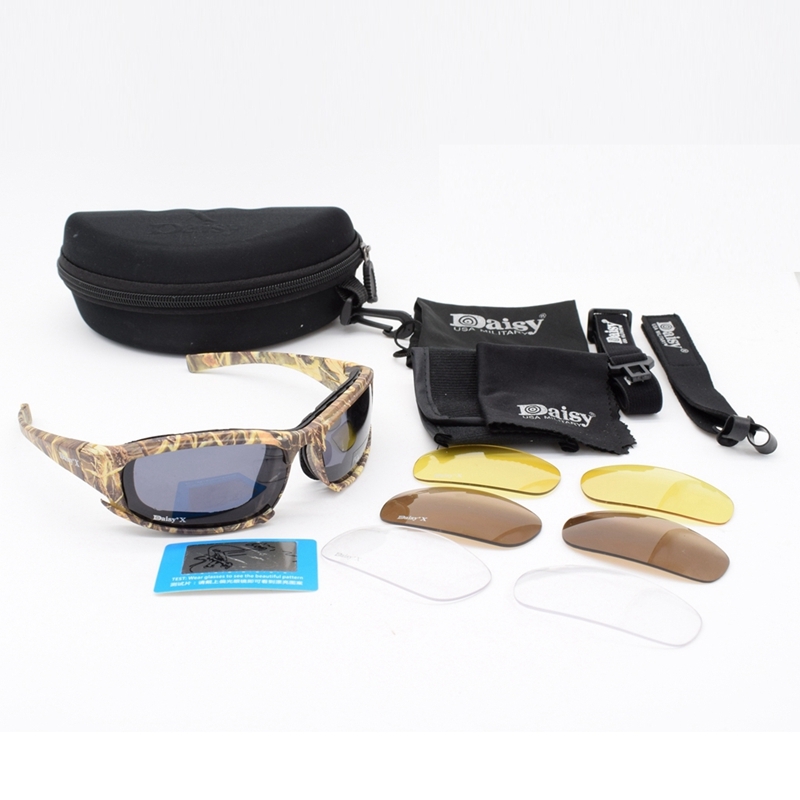 Comes with 4 Pairs of Lenses: Cadmium Yellow, Clear MLC (Anti-glare), Brown (Anti UVA UVB) & Neutral Gray (Anti UV400). o Cadmium Yellow (Night Vision) - high contrast yellow lens, ideal for very low light condition. 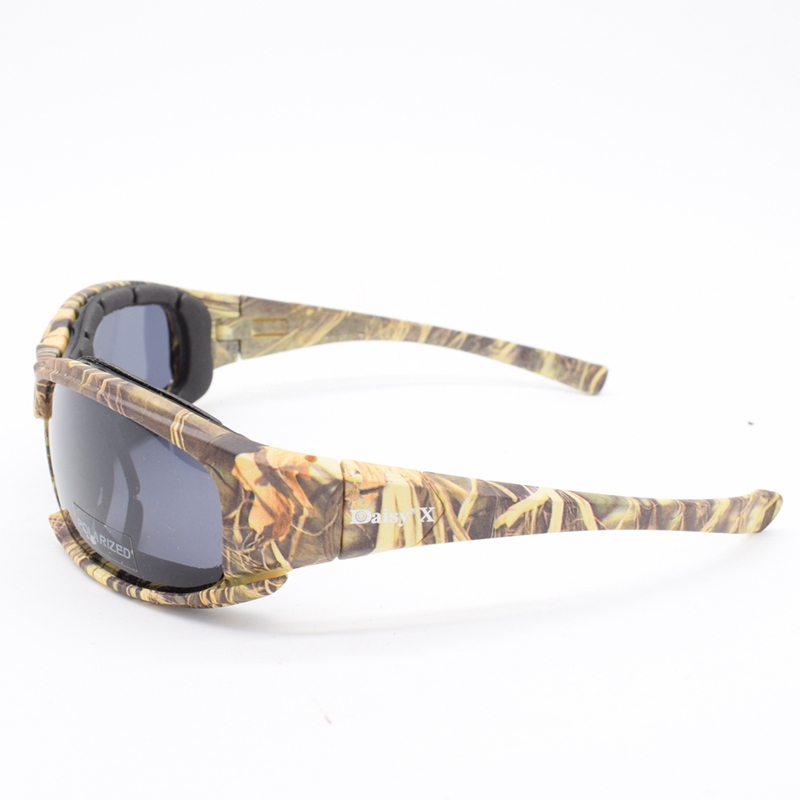 o Clear MLC (Anti-glare) - Clear lens with special multi-layer coating. 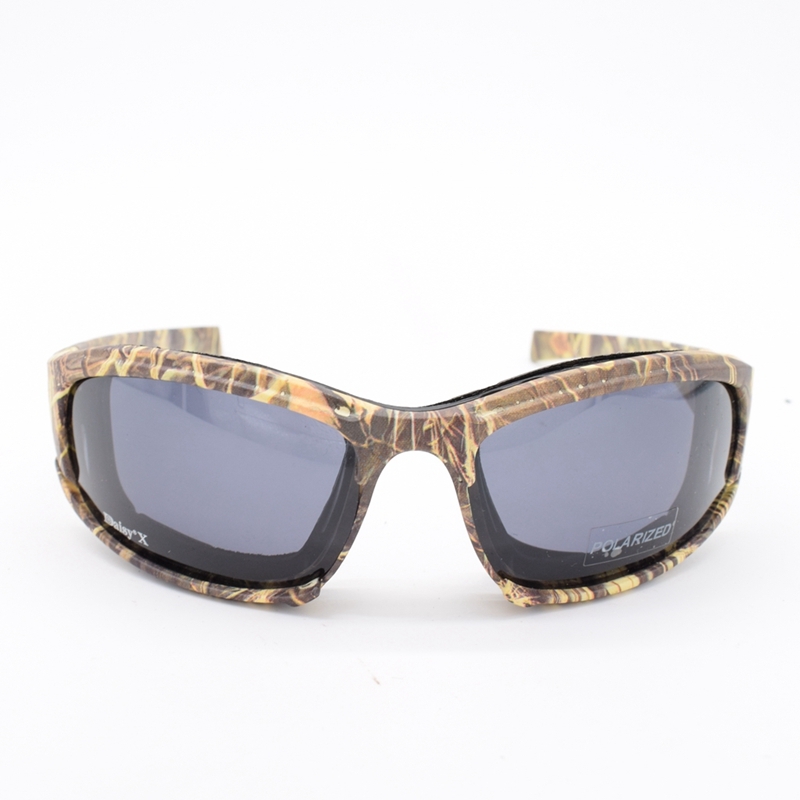 o Brown Lens (Anti UVA UVB) - Ideal for strong sunlight condition, best for sports and outdoor activities. o Neutral Gray (Anti UV400) - Provides true color definition. Ideal for everyday, all purpose wear. 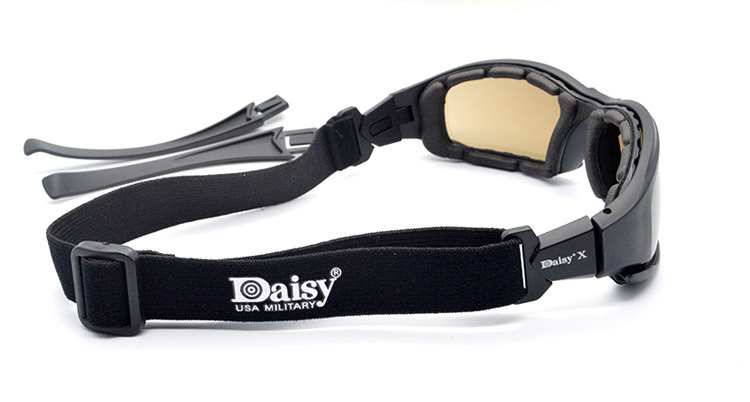 o Frame - made from high quality Polycarbonate material which makes it durable and flexible. 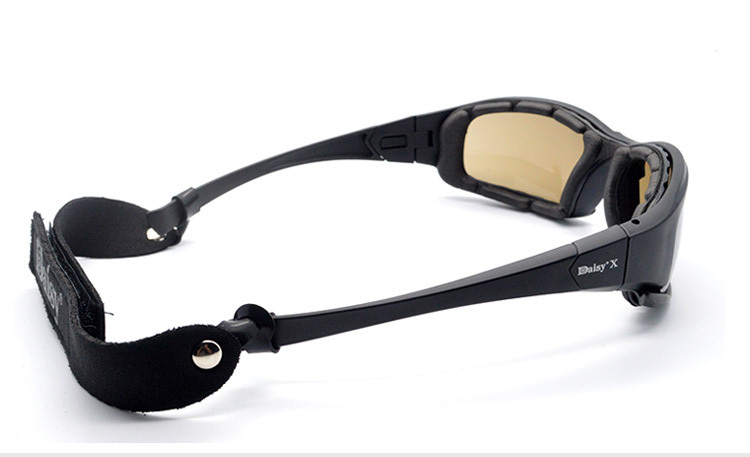 o Lens - UV400 protective lenses which blocks all light rays with wavelengths up to 400 nanometers. This covers all of UVA and UVB rays.